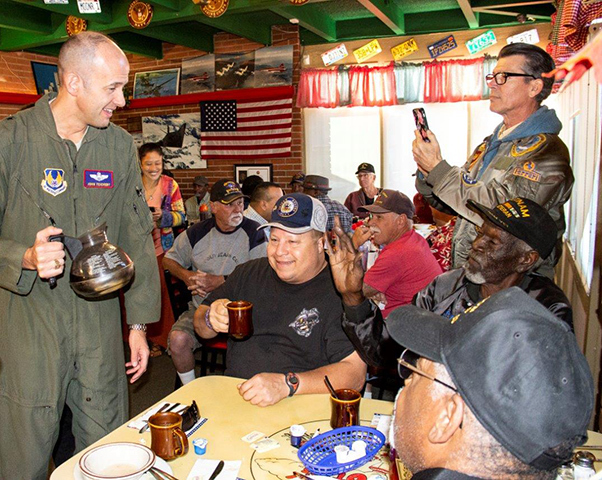 Veterans participating in Coffee4Vets enjoyed a few special guests during the Nov. 6 gathering at Crazy Ottos in Lancaster, Calif.
Brig. 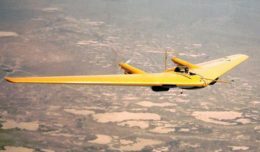 Gen. E. John “Dragon” Teichert, 412th Test Wing Commander, Command Chief Master Sgt. Roosevelt Jones, and Capt. Miguel Vasquez, 416th Flight Test Engineer, all said they were honored to be a part of such a fun group of veterans. Not new to the gathering was Congressman Steve Knight, who wasn’t there to talk politics but to encourage everyone to get out and vote. He said that this gathering has always been one of his favorites and if he can’t make it, he usually sends a representative to help veterans with any concerns. 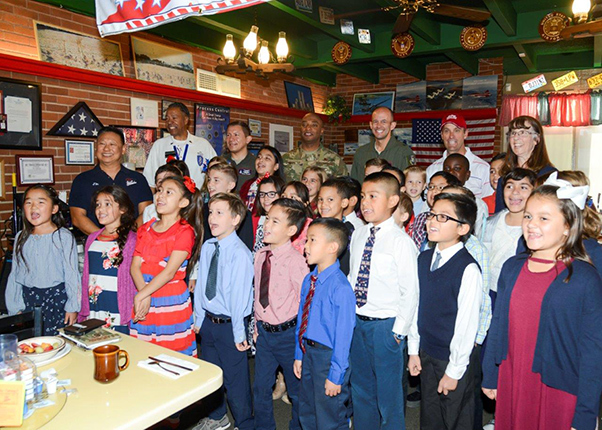 Touching the hearts of everyone in the room, third and fourth graders from the Lancaster Baptist school sang several patriotic songs and passed out a goodie bag to all veterans after their performance.